Erika Duke-Kirkpatrick, a member of the CalArts faculty since 1987, currently holds the Larry Levine Chair in Contemporary Music. 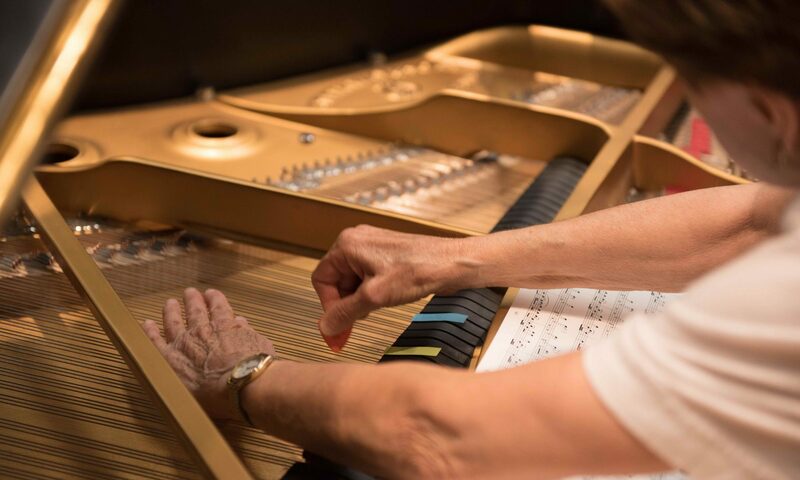 She has worked with composers including; Louis Andreissen, Earle Brown, Jason Robert Brown, John Cage, Elliott Carter, Morton Feldman, Brian Ferneyhough, Sofia Gubaidulina, Lou Harrison, Stephen Mosko, Mel Powell, Roger Reynolds, Terry Riley, Frederic Rzewski, Iannis Xenakis, and Morton Subotnick and Joan La Barbara, with whom she toured and recorded for over twenty years. 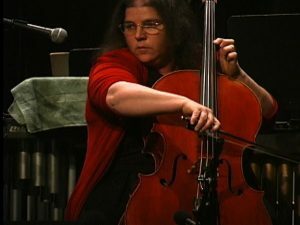 Erika was cellist and founding member of the California EAR Unit, with whom she performed from 1981-2008. She has performed throughout the US, Europe, Japan and New Zealand including Tanglewood, Aspen, Ravinia, and Santa Fe Chamber Music Festivals, and at the Kennedy Center. From 1992-98 she was principal cellist and soloist with the Santa Fe Pro Musica. She is also a founding member of the CalArts faculty ensemble Bach’s Circle, with whom she has performed at the Oregon Bach Festival and Chamber Music Northwest . She was a featured performer at the Dartington Summer Music Festival, the Sospeso Chamber Series at Carnegie Hall, and with pianist Eric Huebner at the Ojai Festival. Erika is also active in the film industry, having recorded on over 900 motion pictures and television series over the past thirty-five years. She is particularly proud of her former students, CalArts alumni, who are at the forefront of contemporary music in Los Angeles, New York and beyond.